After her appearance on Jimmy Kimmel Live, Scarlett Johansson had a very unpleasant run-in with some paparazzi that ended with the police getting involved! It looks like, despite the fact that the actress obviously had her personal security people with her at the time, they were still overpowered by the photographers. Due to how relentlessly and intensely they were following her, Johansson decided to go to a police station, one spokesperson for the Los Angeles Police Department reports via ET. ‘Last night, Scarlett Johansson was at Jimmy Kimmel. At some point, the paparazzi overpowered her security team and for safety reasons and for her security people, they were then taken to the Hollywood police station. She was later able to leave the station. There was no crime report. She was only a little spooked,’ the spokesperson shared with the news outlet. It all started with the actress stopping by Jimmy Kimmel Live where she talked about the highly–anticipated Avengers: Endgame with other cast members. Johansson was also part of a very funny segment alongside Chris Hemsworth, Mark Ruffalo, Jeremy Renner, Don Cheadle and Chris Evans in which they were required to have a more child-friendly reading of Infinity War. Before her appearance on the show, the actress was also photographed and seemed to be in a great mood as she was waving at fans. 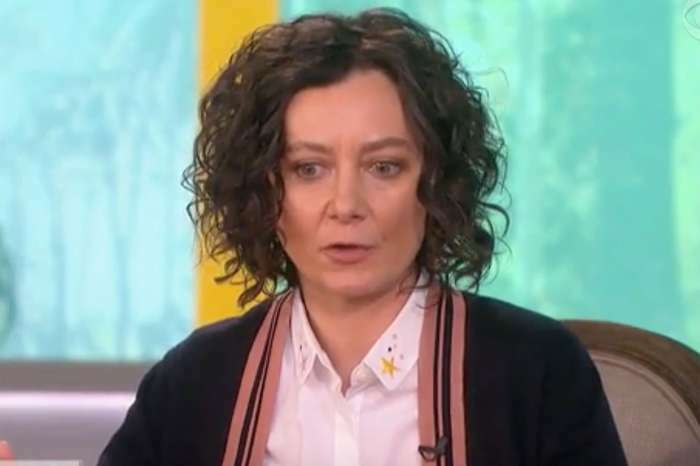 Sara Gilbert Announces That She's Leaving "The Talk"